Use DuPont GroundGrid and Typar together to create an extremely effective filtration and drainage system. 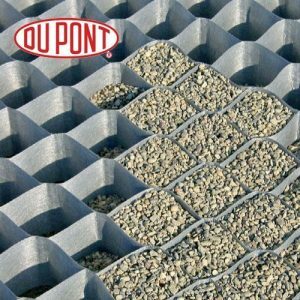 DuPont GroundGrid is a stable and permeable gravel grid used to facilitate heavily trafficked areas. It is exclusive in the UK to Drainage Superstore. 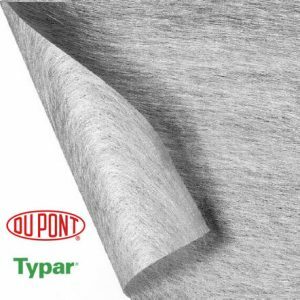 DuPont Typar SF is a geotextile membrane made using a non-woven fabric. This fabric is manufactured purely from 100% polypropylene, which has thermally bonded continuous filaments. This also makes it a unique and reliable product. Available in a selection of dimensions, DuPont Typar creates a natural soil filter which ensures an effective filtration system. Thus, it allows excess water to pass through, washing out fine particles into the drain. By using DuPont Typar, stable filter conditions will develop over time. This then creates a long-lasting filtration system without clogging. DuPont Typar geotextile membrane should be used in conjunction with DuPont GroundGrid in situations where the sub ground soil conditions are very soft. Such conditions would be unsuitable for GroundGrid alone. By using both products this way, they will combine to offer a complete sustainable drainage system. This is then perfect for use on landscaped paths, driveways, golf courses, sports fields and more. If you need information or advice, give our friendly advisers a call on 01752 692 221. Alternatively, use the live chat function in the bottom right-hand corner of our website.